Yale University Press, 9780300058161, 234pp. During the Spanish Civil War, women—long oppressed in Spain—were active both on the front and in the rear guard. 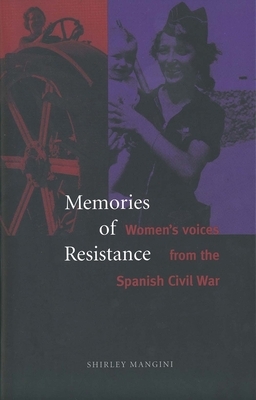 This book is the first to focus on Spanish women's contributions to the war effort and the social and psychological implications of this radical change in their traditional role. Quoting extensively from such "memory texts" as oral testimonies, diaries, autobiographies, and letters, Shirley Mangini considers the status of women before, during, and after the war. She discusses the factors that provoked the war and how they affected Spanish women--both the "visible" women who during the turbulent 1920s and 1930s tried to become part of mainstream politics and the "invisible" women who came to the fore during the revolutionary years of the Second Spanish Republic from 1931 to 1936 and became activists in the protest against the military insurrection of 1936. She describes the incarceration and exile of women after the war and examines how they dealt with their lives during the long years of persecution and silence under the Franco regime from 1939 to 1975. Shirley Mangini is professor of Spanish and director of the Center for Humanities at California State University, Long Beach.